Year 4 leading the Philadelphia Lung Force Walk Saturday May 19, 2018. Thank you to the walkers again this year. Next year will be even more exciting. 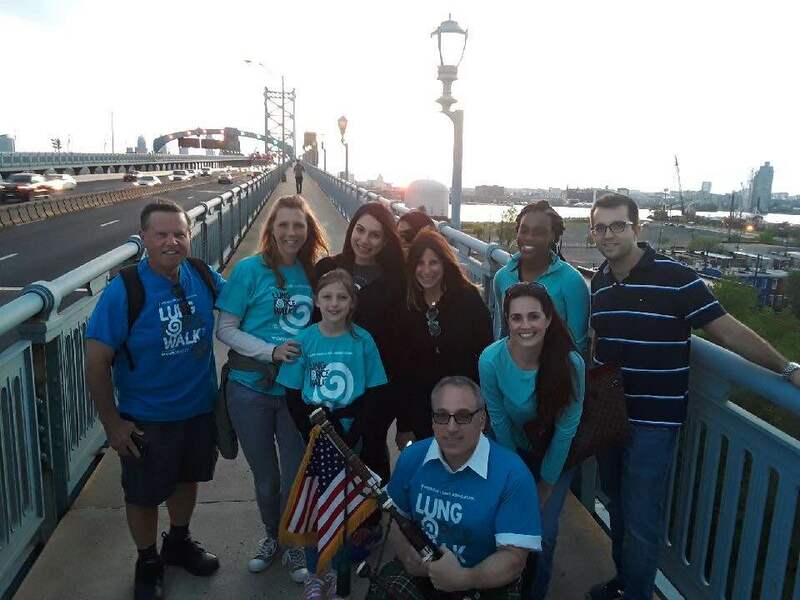 In 2016 The American Lung Association and I teamed up and started the Ben Franklin Bridge Walk. The walk takes place at the start of Women’s Lung Health Week which leads into the Philadelphia Lung Force Walk. The purpose of walking the 9,573.0 ft bridge span while playing the bagpipes is to demonstrate the power of healthy lungs along with raising funds and lung health awareness. 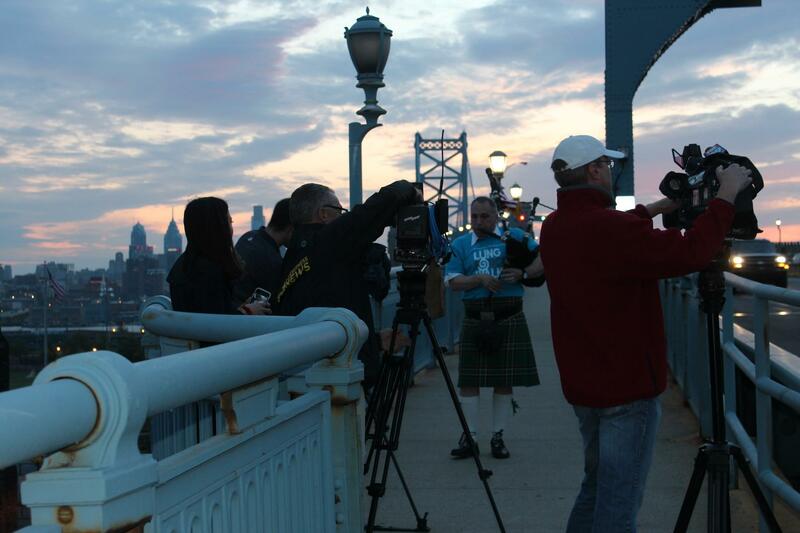 The walk takes place at dusk as the bridge is illuminated in the awareness color of turquoise. 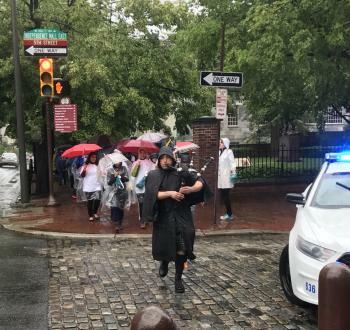 I also lead the Lung Force Walk through the historic district of Philadelphia each year. Come take a walk with us. American Lung Association’s LUNG FORCE unites women and their loved ones across the country to stand together for lung health and against lung cancer. Lung cancer is the #1 cancer killer of both men and women in the U.S. Every seven and a half minutes a woman in this country learns she has lung cancer. More must be done to raise awareness and research funding to defeat lung cancer once and for all.